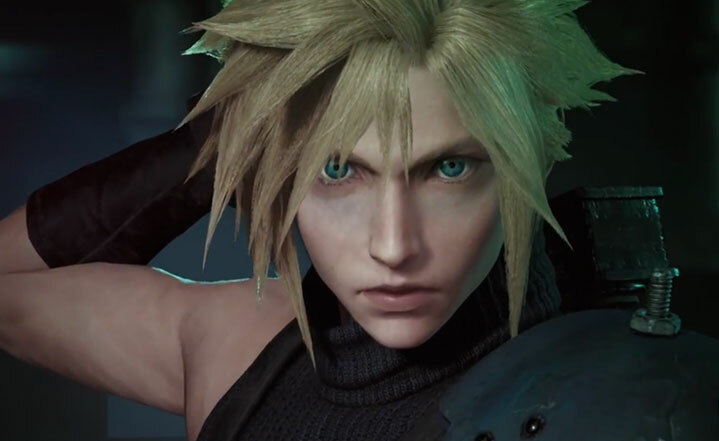 Final Fantasy VII Remake’s key developers in Yoshinori Kitase and Tetsuya Nomura recently shared plenty of details during an interview with Famitsu. Here are some highlights from their conversation. 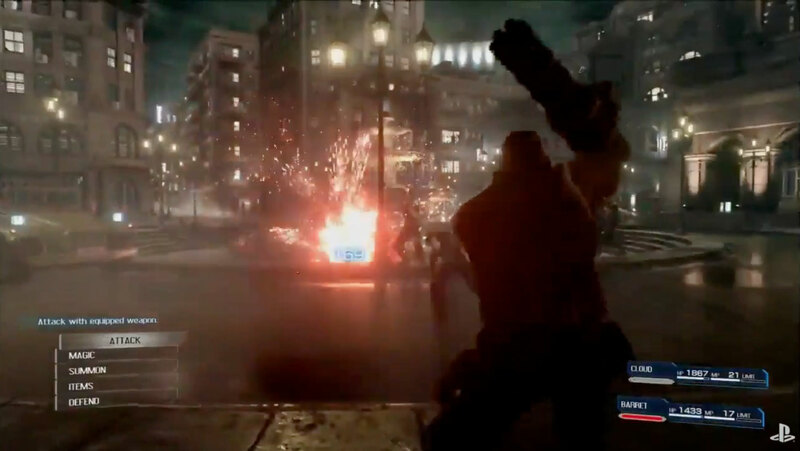 The official title is Final Fantasy VII Remake. Square Enix thought about adding some kind of subtitle that is related to the game’s story, but they decided not to, since they didn’t want to give the wrong idea of it being some kind of “Legends” or a sequel-type game. They thought of different ideas, but in the end, they figured that having “Remake” in the official title would make it easiest to understand. Final Fantasy VII Remake will be done in multiple parts, rather than a single entry. The reason for this is because doing a full remake of Final Fantasy VII using today’s technology would be a lot of work. Kitase felt that having the “voluminous” feeling you get from Final Fantasy VII wouldn’t be able to work with just a single title for an HD remake. 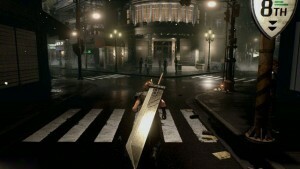 Nomura also commented on the subject saying that they would also have to make a lot of cuts if they decided to make it all under one title, and they would have no choice but to make it into a Final Fantasy VII “digest,” and they felt that it would be pointless to do a full remake if they were going to do just that. For example, you’ll get to explore various parts of Midgar that you weren’t able to in the original version; however, in order to do that, it would need to be pretty dense. Of course, that also means that some parts will be cut from the game, but overall they’re adding much more to it. As far as models go, Visual Works director is taking care of it, but they’re also getting a lot of help from external sources. Roberto Ferrari, the Italian designer for Square Enix, is focusing his work on sub-characters like Biggs and the others that we saw in the recent trailer. Additionally, Square Enix will get help for roles such as programmers, planners, and other core members from external companies. Some of the other companies that will be helping include CyberConnect2, who’ve also helped in the development of Final Fantasy VII: G-Bike. Kitase says that CyberConnect2 have experience and great knowhow in action games, and he feels that they have a special sense for cinematics; however, since their production “taste” is different from that of Square Enix’s, along with some complaints from Nomura, they decided to make the latest trailer closer to their own style. Square Enix is using Epic Games’ Unreal Engine 4 to create the game. This means Square Enix has worked with Epic to ensure the game is running properly. 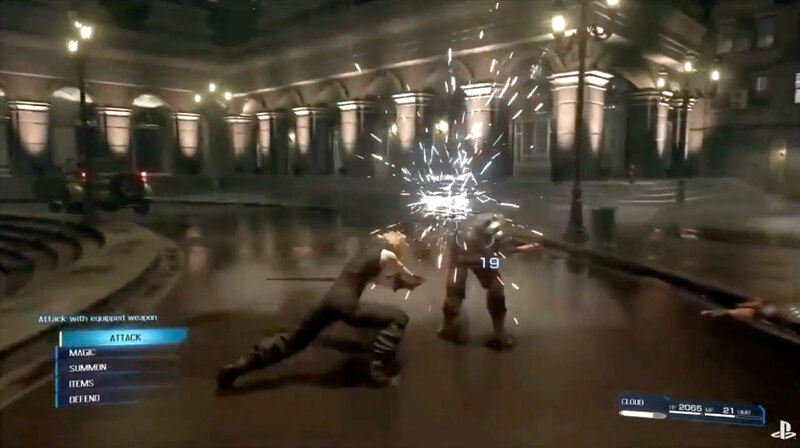 Final Fantasy VII Remake won’t be Square Enix’s first game to work with the Unreal Engine 4. It is using it for Kingdom Hearts HD 2.8 Final Chapter Prologue and Kingdom Hearts III as well. The characters we saw in the recent trailer looked very close to actual humans, and Nomura says that it’s their current goal to make it as realistic as possible. Square Enix is not using models from Final Fantasy VII: Advent Children, as it’s something from over 10 years ago, meaning that its technology is too old, and that it looks a bit too “deformed” when they look at it now. 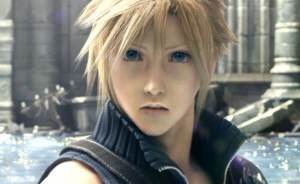 For the remake’s visuals, they’ve done numerous adjustments and balances between realistic and deformed parts of eyes, nose, hair, and other parts. They were finally able to settle on something they all liked. Everything that was shown in the latest trailer is from in-game footage, and not pre-rendered material. After the camera goes close up on Cloud when he’s on the train, it’ll throw you right into the game. Nomura says that as far as quality goes, they’re still brushing up on it, and they’re only going to keep making it look better from here. Famitsu mentions that Cloud looks a bit thin in the video, but Nomura says that it’s likely due to lighting, and also because of his pale skin. Next, they ask if that means we’ll get to see Cloud in his cross-dressing appearance. Nomura responds with a laugh saying yes, the cross-dressing scene is in the game, but they haven’t done the design for it yet. Square Enix was originally going to go with Barret’s Final Fantasy VII: Advent Children design, but they decided on going with a new design from scratch. Nomura says that they’ve wanted to make all the party members revamped from the beginning. 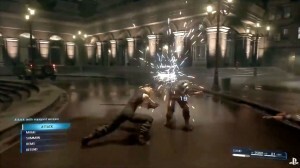 When asked whether the battle system will be closer to Kingdom Hearts or Crisis Core: Final Fantasy VII, Nomura says “if anything, it’s action,” and it’s completely different from Crisis Core. It might not be as much of an action title as say Dissidia Final Fantasy on arcade or the Kingdom Hearts series, but it leans more towards there. Parties will consist of three members, and you’ll get to freely switch between the characters with the L1 and R2 buttons, but it won’t be a requirement, as you can stay as the same character for the entire time. As far as the battle tempo goes, Nomura wants to make it close to that of Dissidia Final Fantasy on arcade. He says that what we saw in the trailer is simply the base of Final Fantasy VII Remake’s battle system, and that he’s currently thinking of some kind of original structure for the battle system that adds a strategic element, in the midst of being able to switch through characters, an action that involves more than simply hitting enemies.